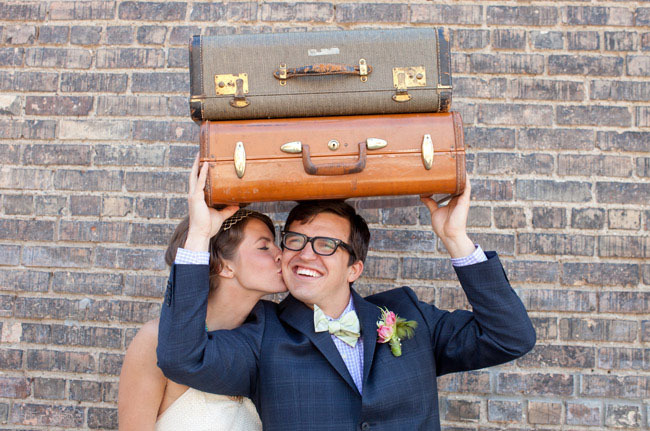 Do you and your fiancé love to travel? 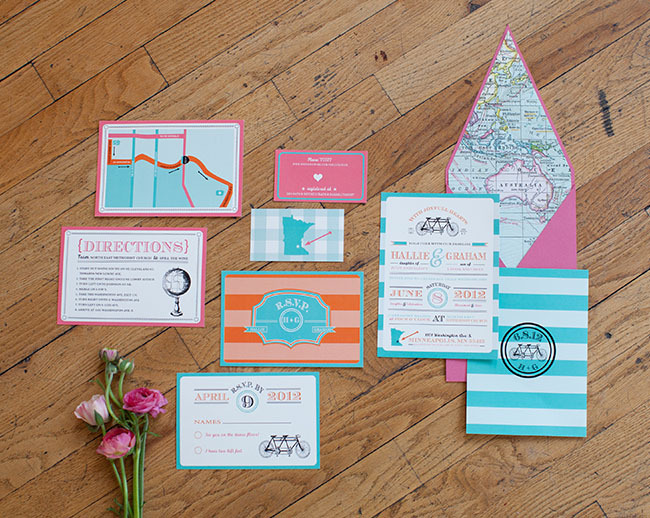 If so, why not incorporate some fun traveling details into your day? 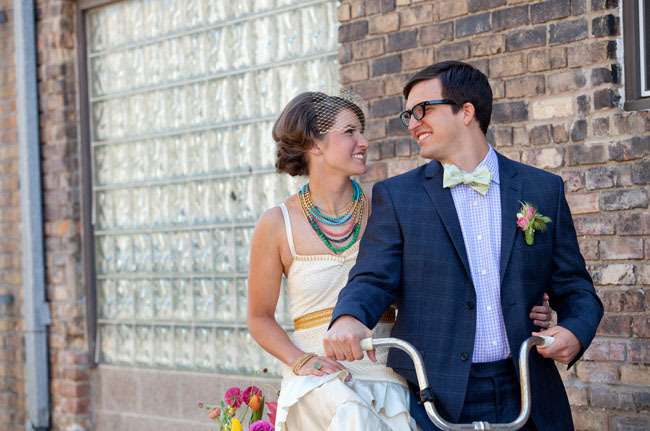 :) Erin of Erin Johnson Photography recently traveled around Europe and just loved the feel of Amsterdam so that became the overall inspiration for this styled shoot. 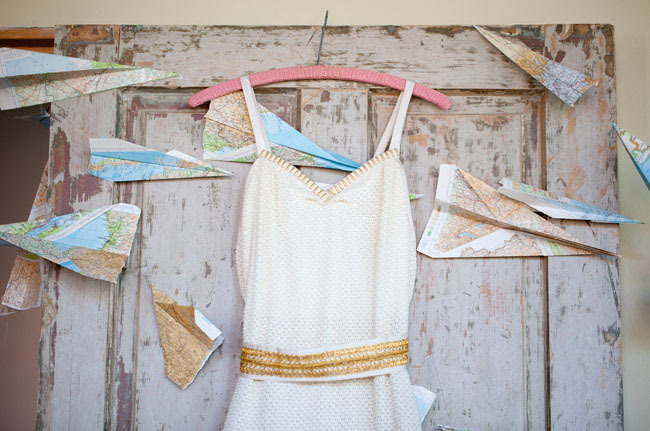 Hopefully this helps inspire some fun ways to incorporate a love of travel into your big day! 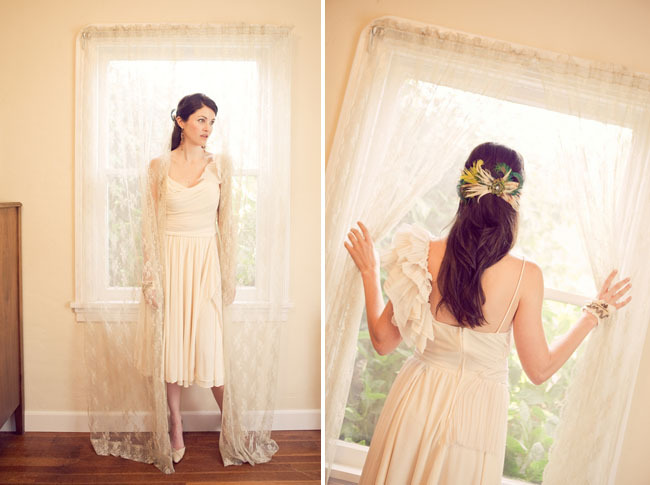 LOVE the Miss Tashina wedding dress! So on trend! 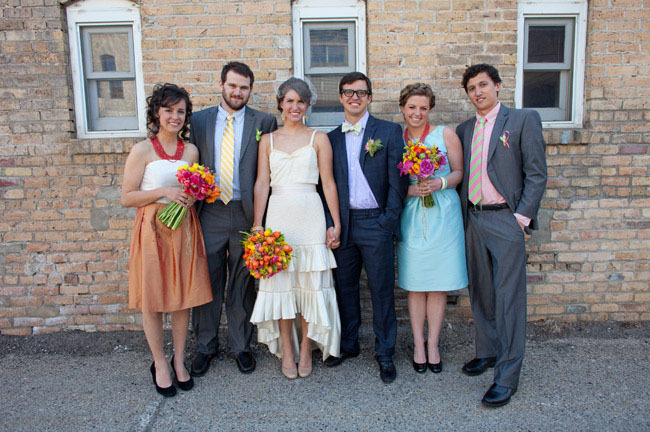 A color blocked bouquet designed by Sadie’s Couture Floral + Event Styling. 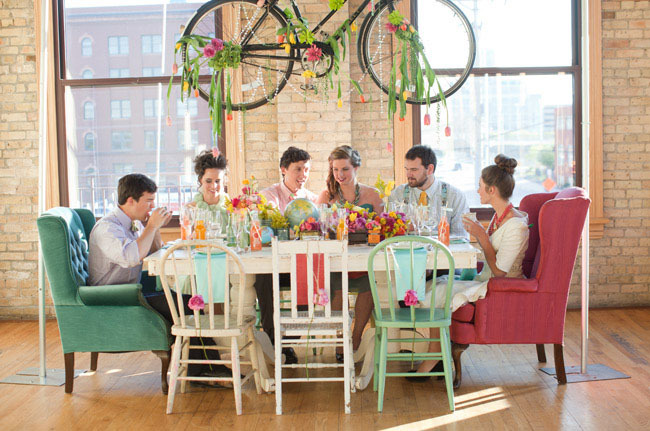 A vintage bicycle hung above the table with flowers incorporated into it? Yes please! 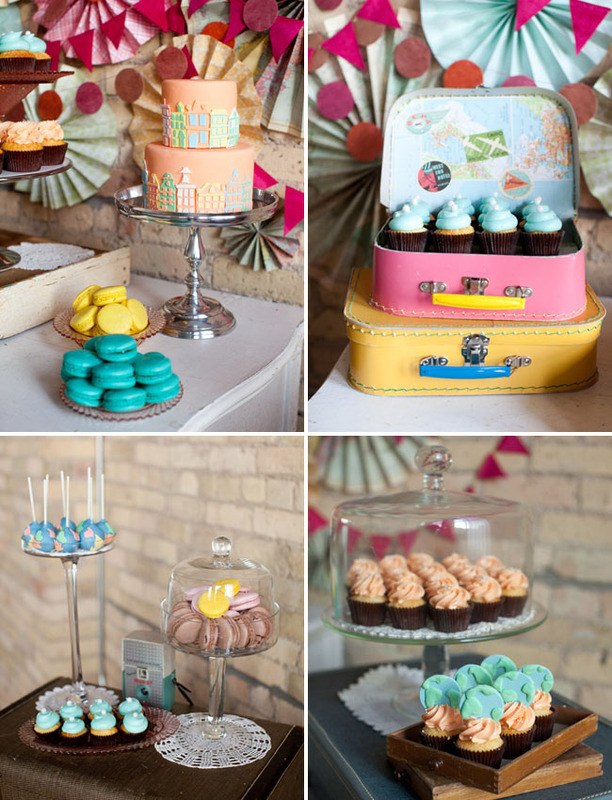 Would be fun to recreateover a buffet table or dessert table, right? 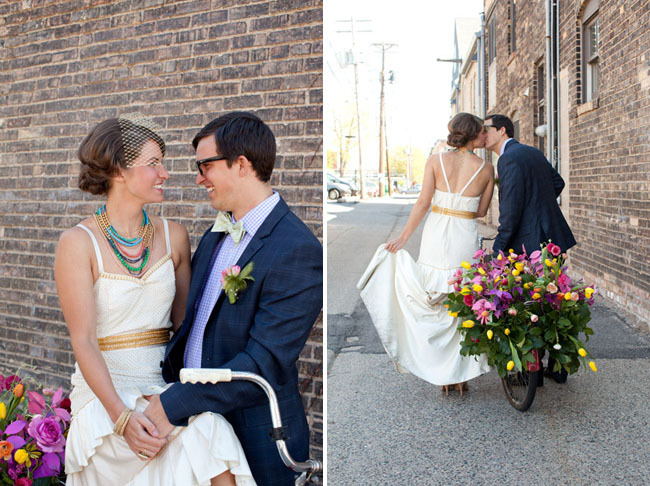 This shoot is adorable!! 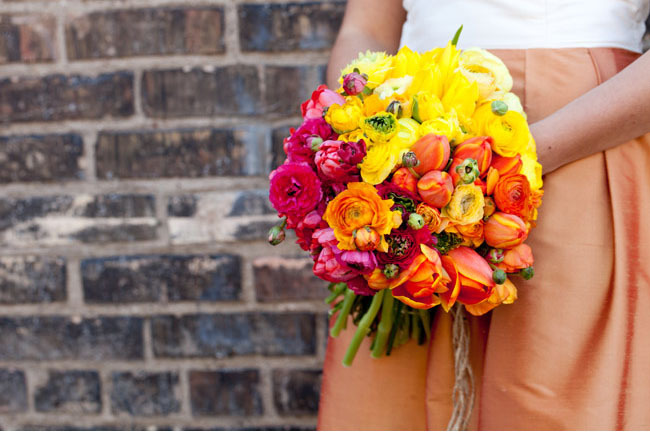 Love all the bright and summery colors…makes me want to travel the world! 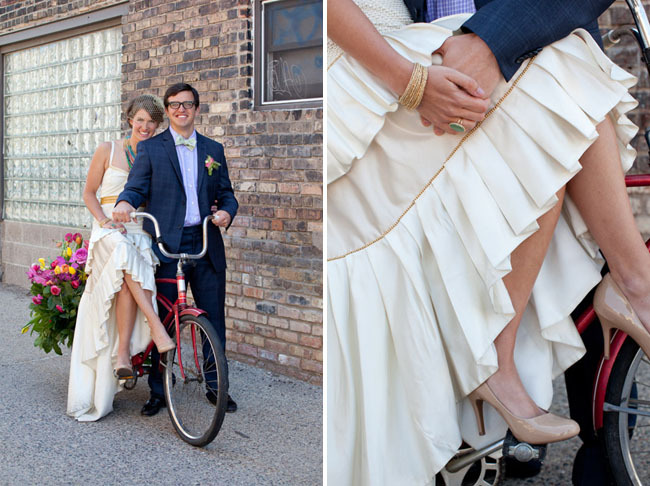 This is seriously such a cute idea! I can’t wait to travel the world! 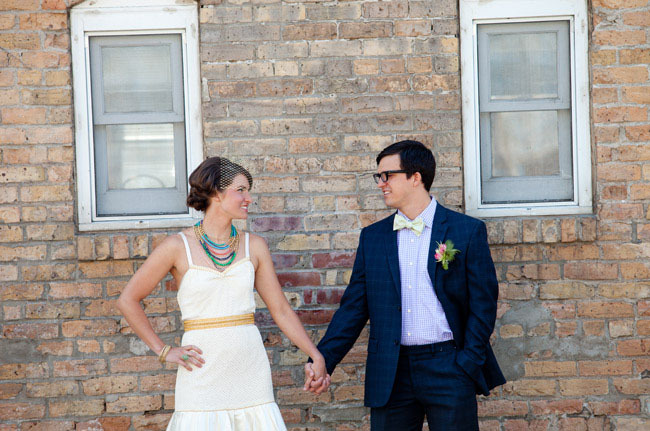 I love the bride’s necklace and dress!! So fun! So bright and festive! Those globe cake pops are so cute! Great feature, loving the pictures!! 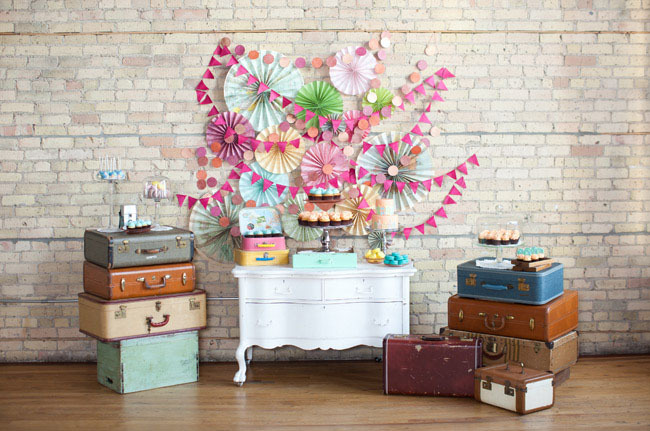 We had some vintage suitcases to decorate our wedding too :) Made it easier to set up and pack up too! 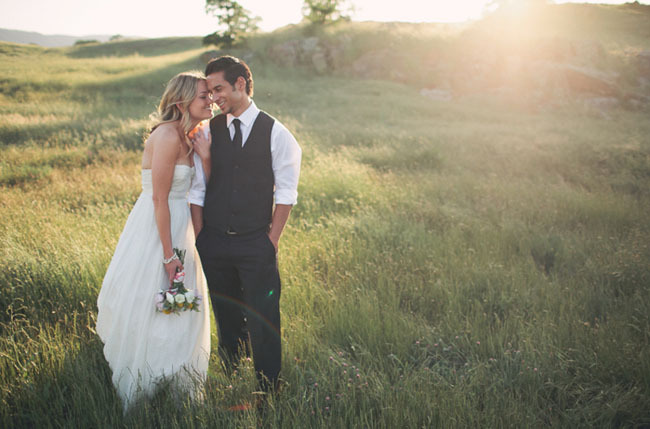 I just love fun fun weddings and cute cute couples. Her dress and jewelry are gorgeous and all the details are amazing. Beautiful images. Such cute and creative details! 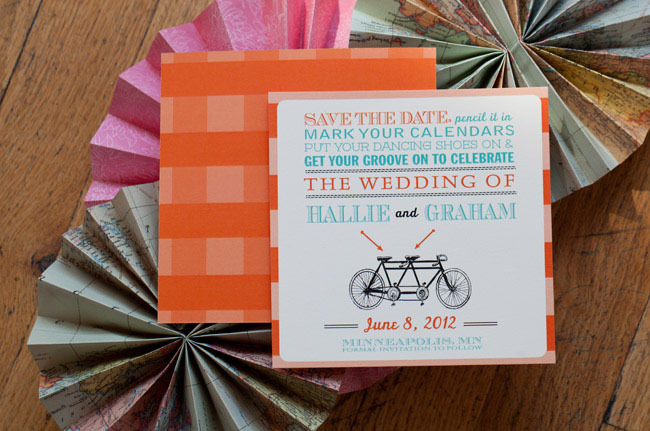 I love the map-lined envelopes, and the bicycle chandelier is delightful. 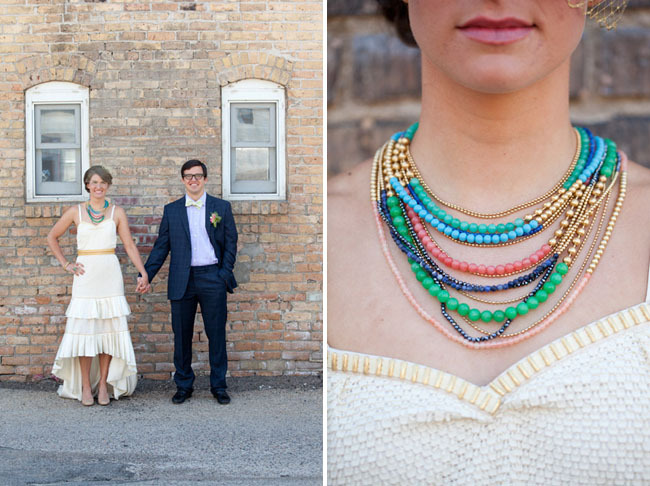 *swooning* I’m in LOVE with all of the color and especially the gorgeous, bright Stella & Dot statement necklaces, bracelets & rings on the bride and wedding party. All of this color makes me happy! 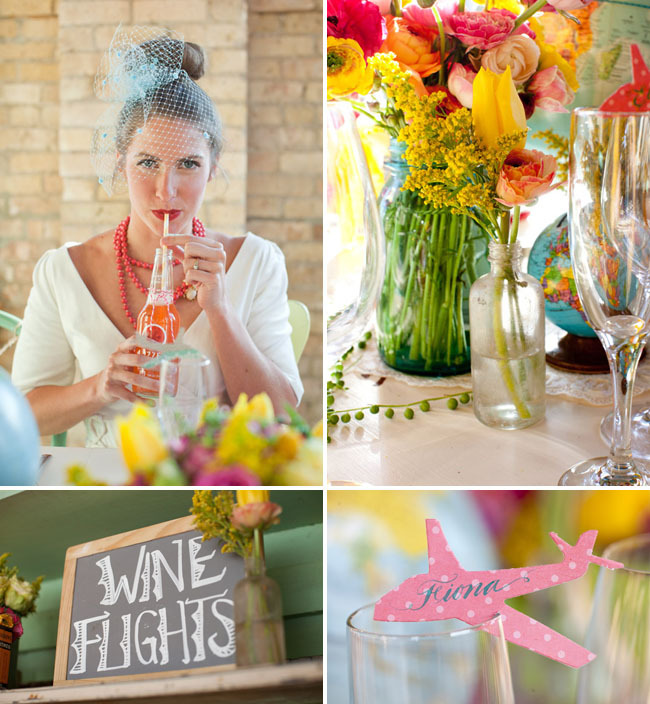 Love all the bright colors-how fun! “Happy Trails”. 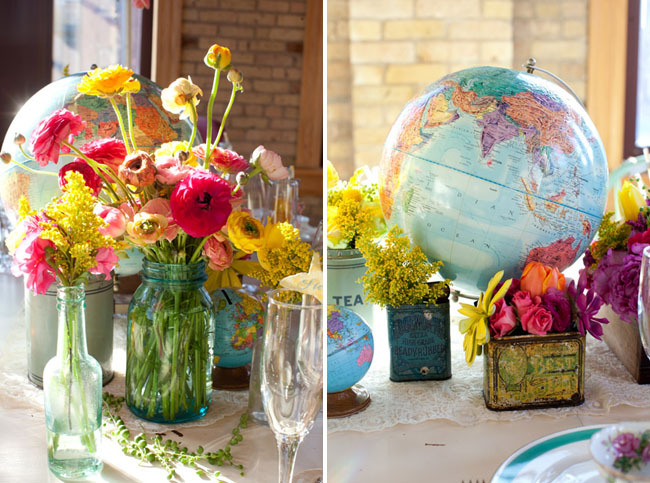 I tore up a travel atlas and made cone shaped paper cups to hold the guests custom trail mix. Also, we bought an airplane charm and sewed it onto the brides garter. Also – We printed the words WHERE in the WORLD are the SITTING? onto a map and framed it and set it on the table with the seat assignments. Each table has a number, but also a destination icon – like the eiffel tower on one, a palm tree on another. The icing on the cake? 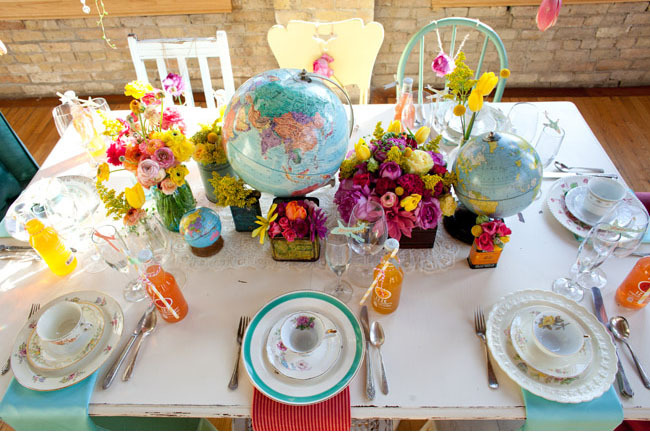 The kids opted to use a standing globe as their guest book. 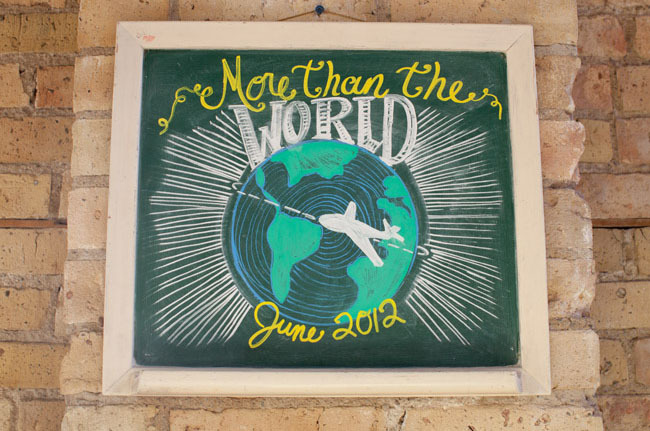 It’s about 3′ high and a beige colored globe built into a solid oak frame/stand. We found it on Craigslist for $40! A nice keepsake for them that they will look at more than an actual book. Oops! I meant to say WHERE in the WORLD are YOU sitting?